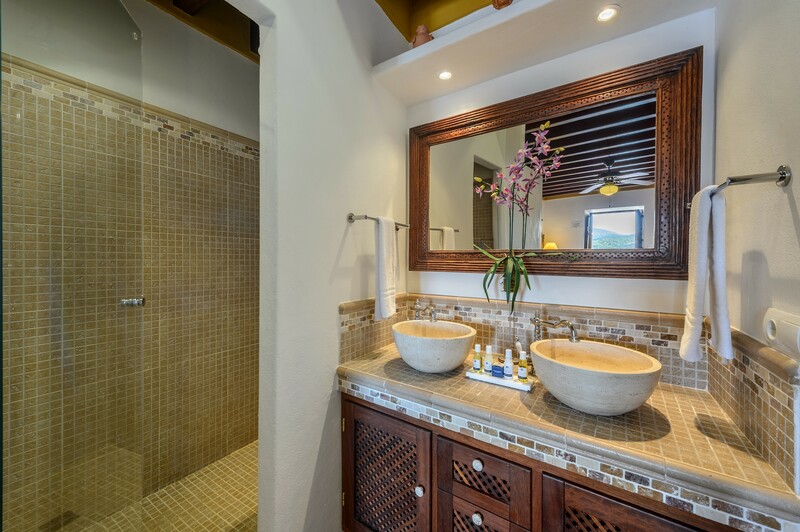 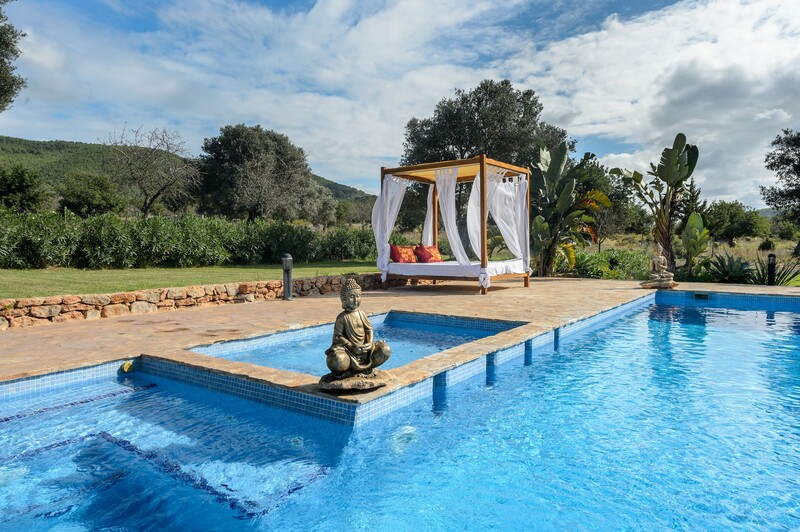 A home designed to ensure relaxation, tranquility and peace. 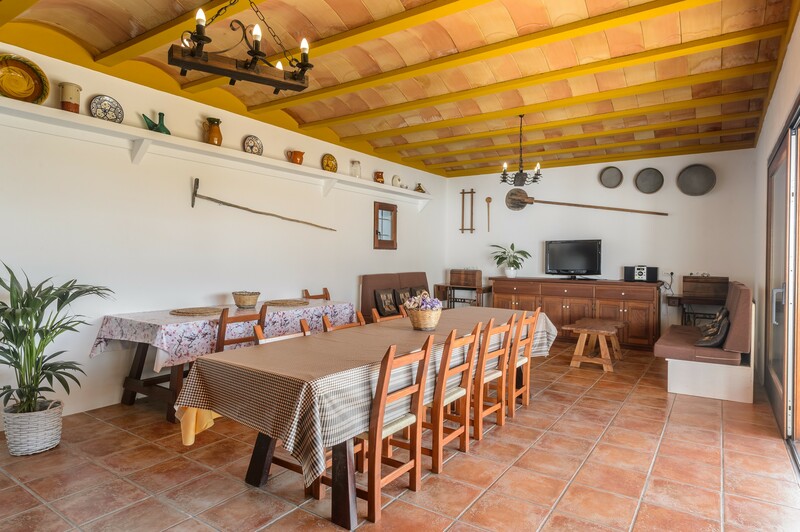 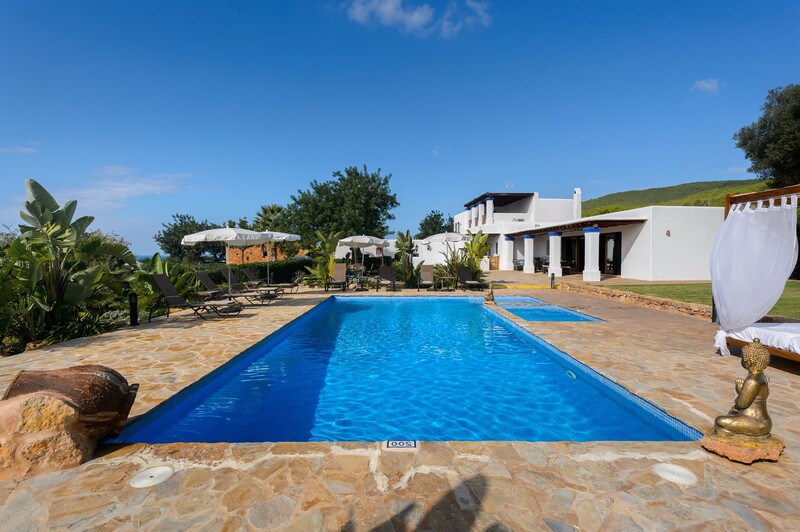 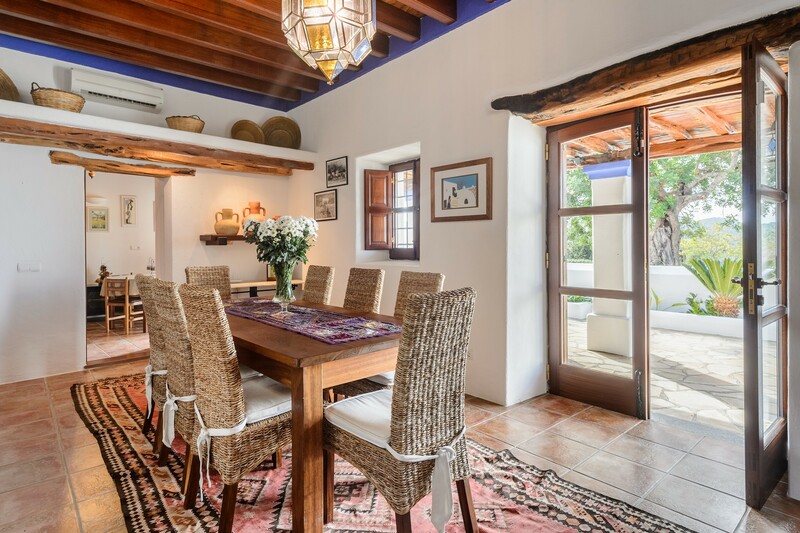 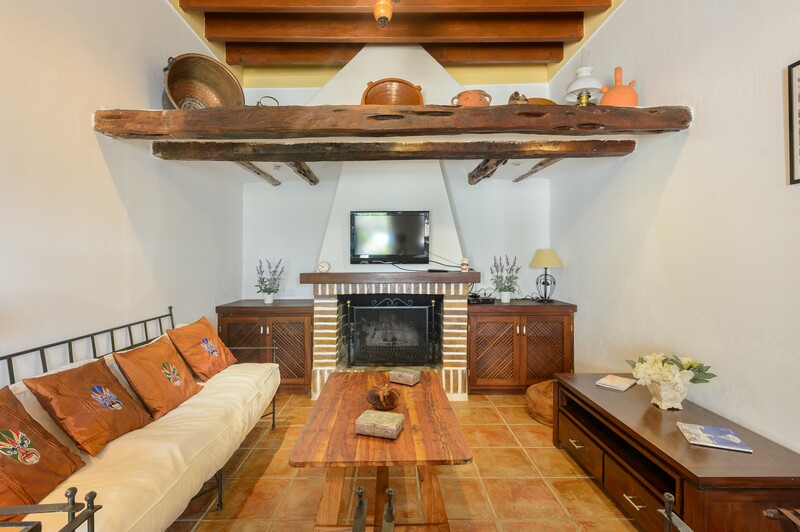 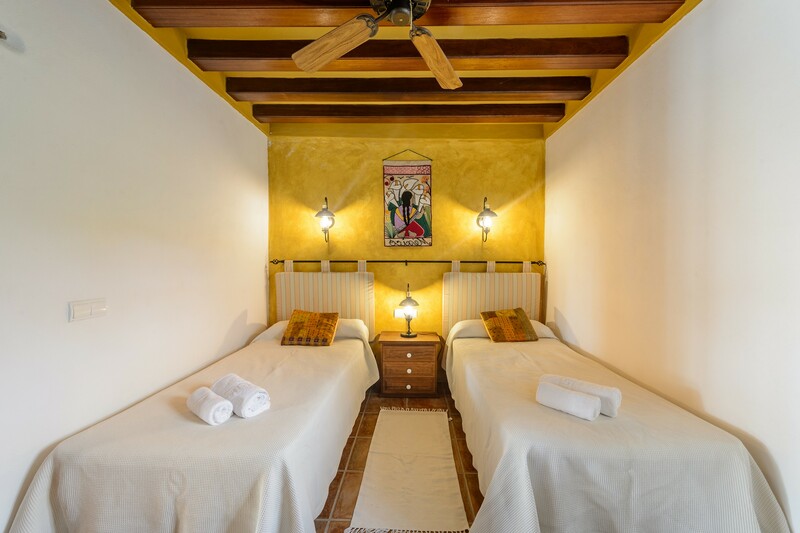 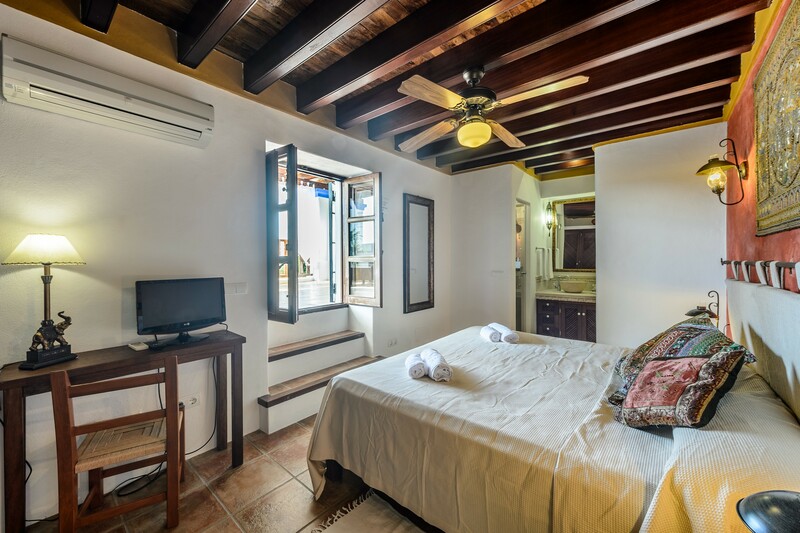 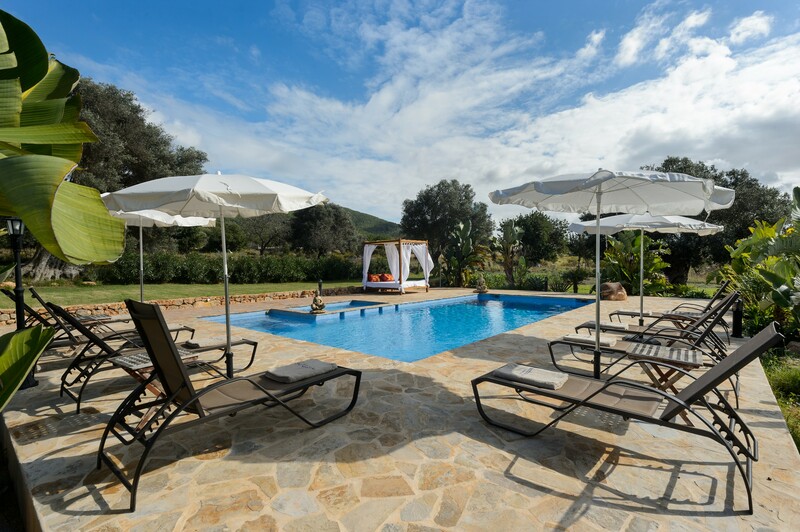 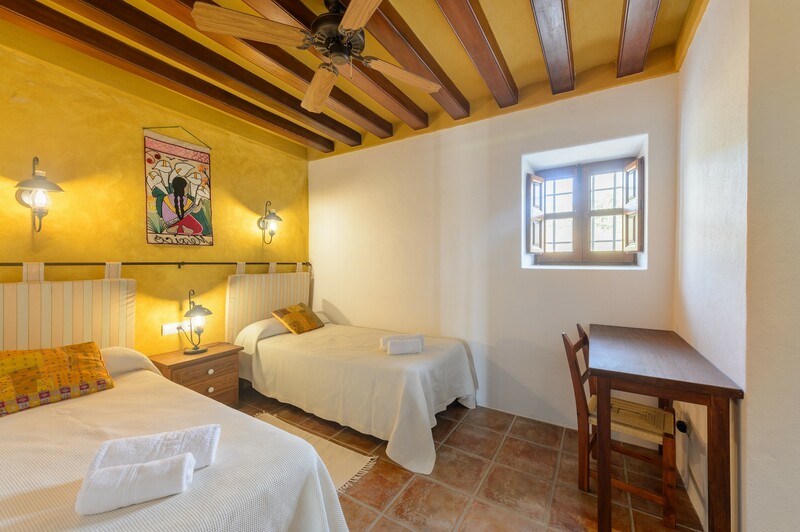 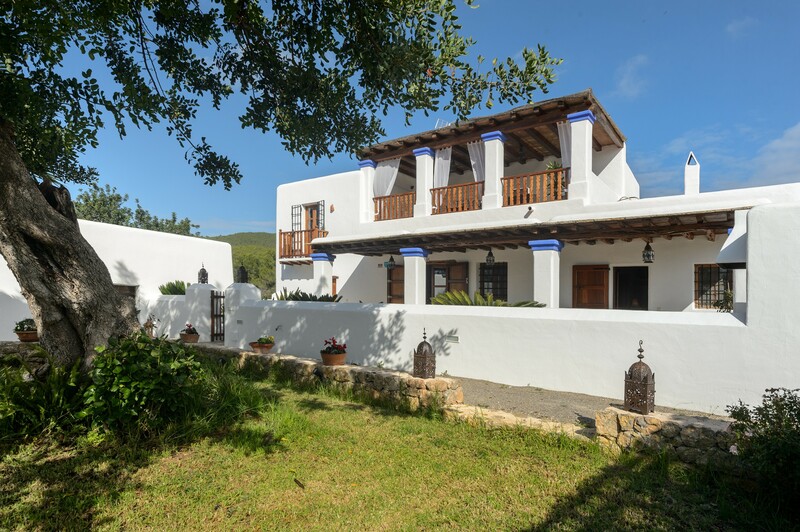 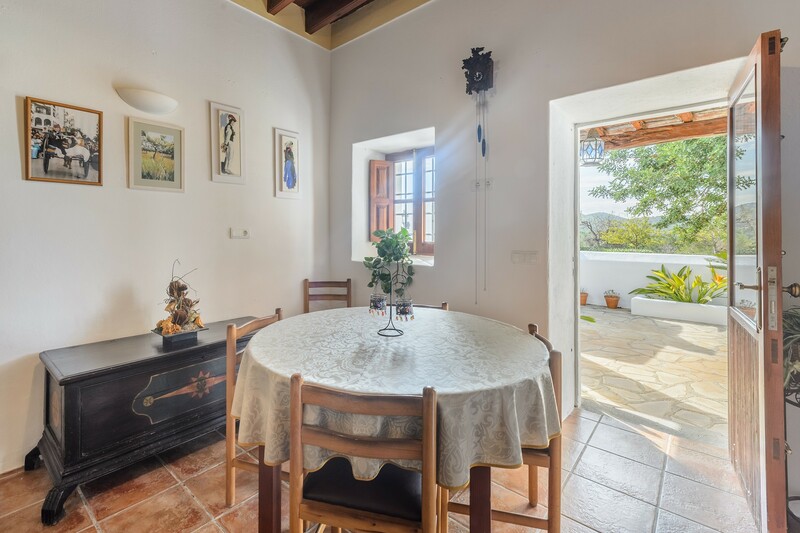 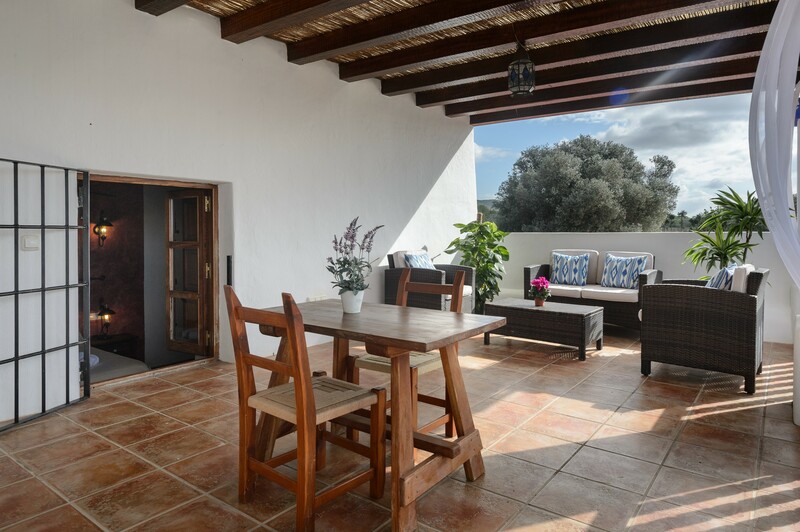 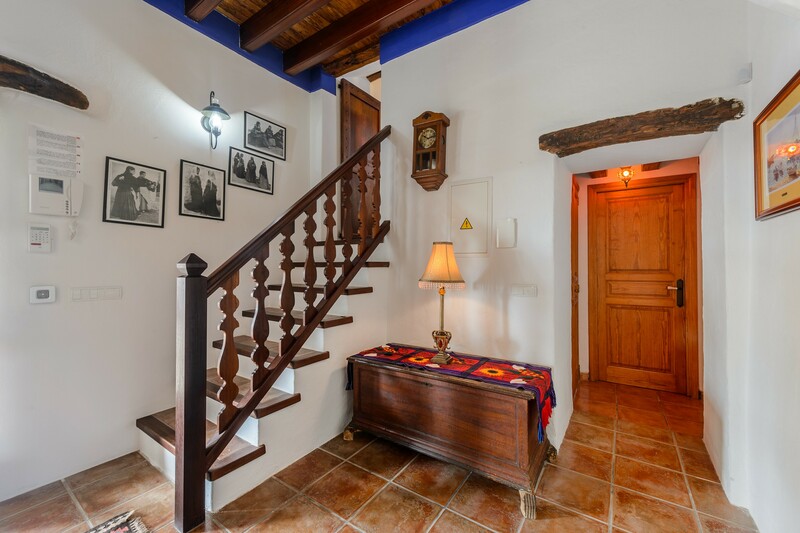 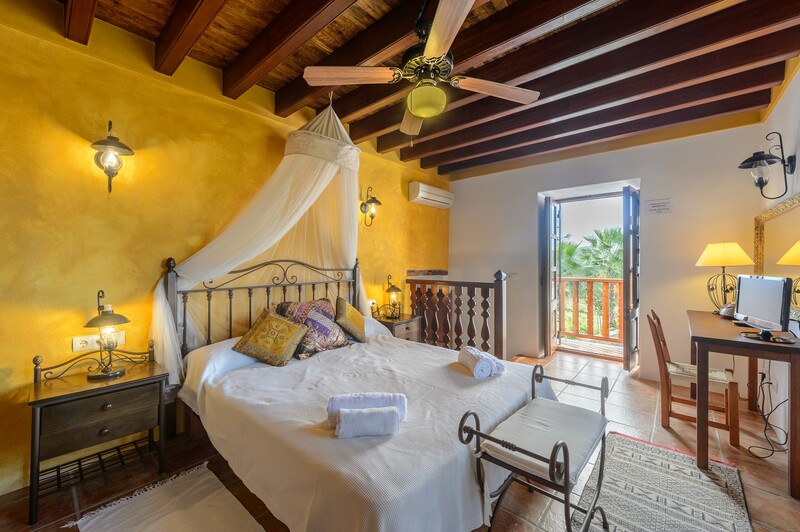 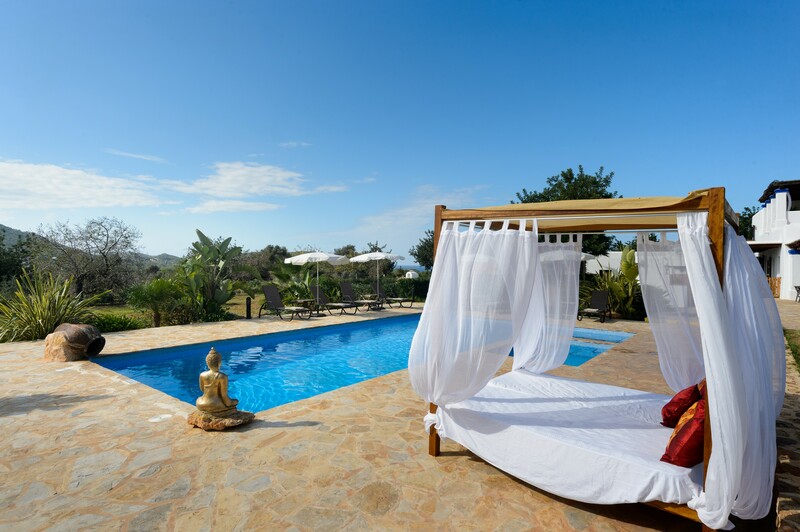 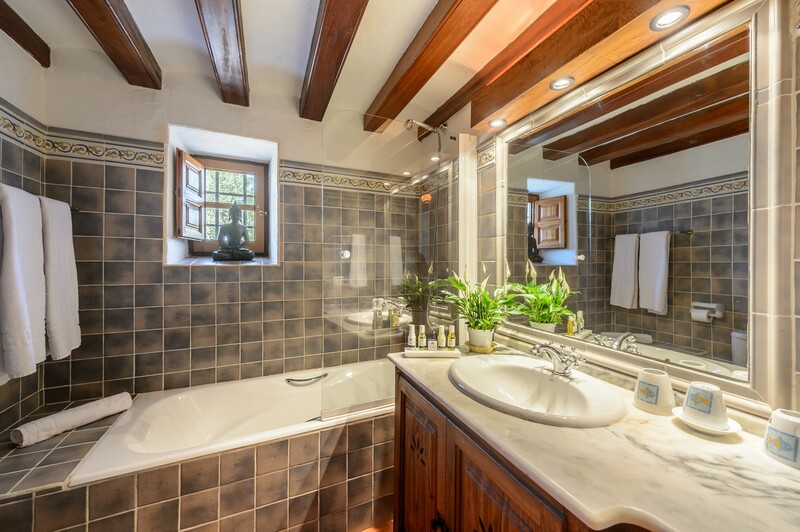 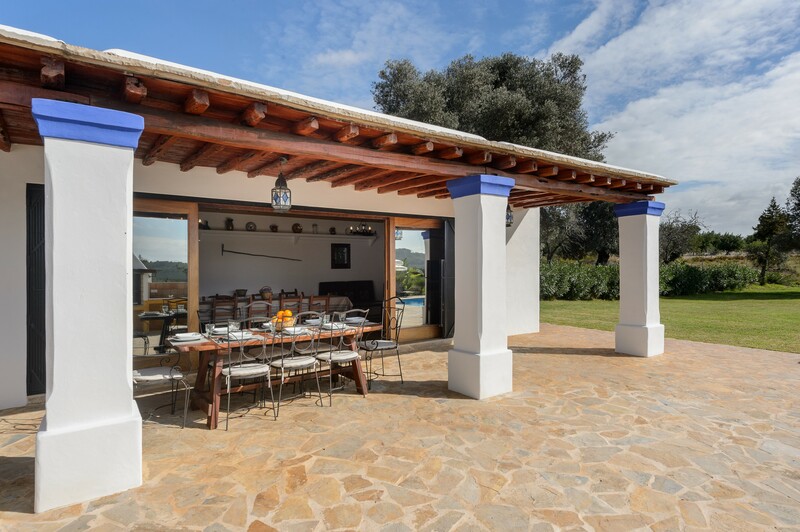 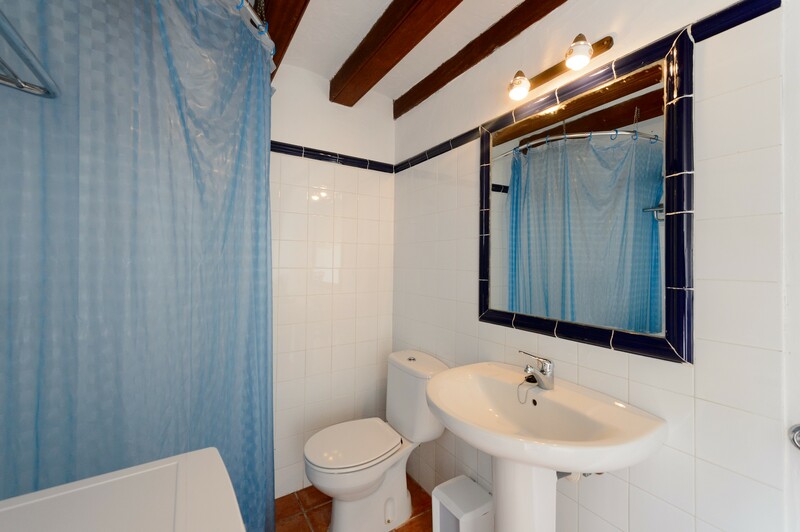 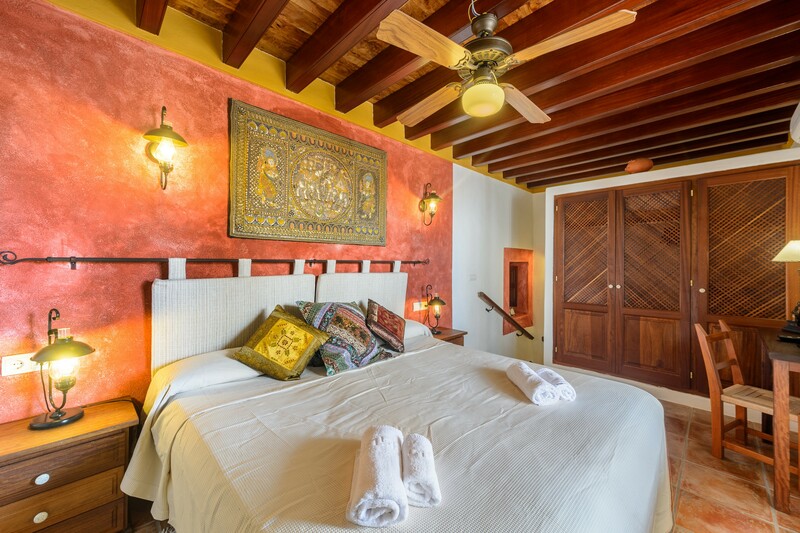 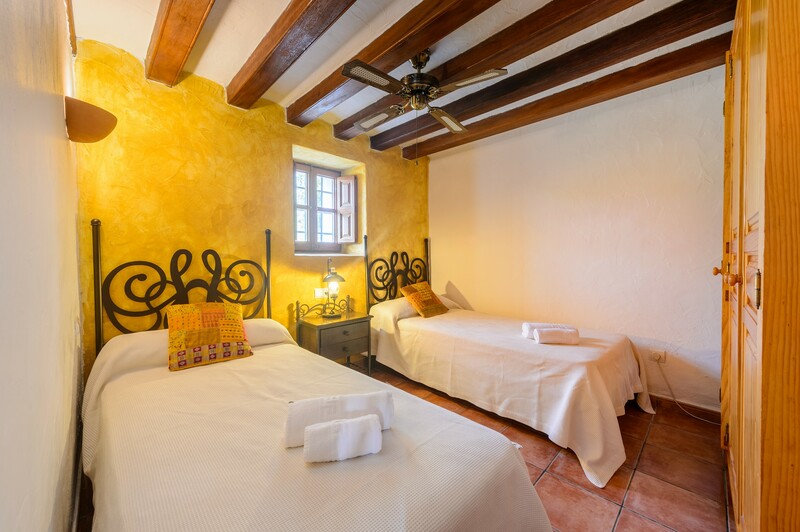 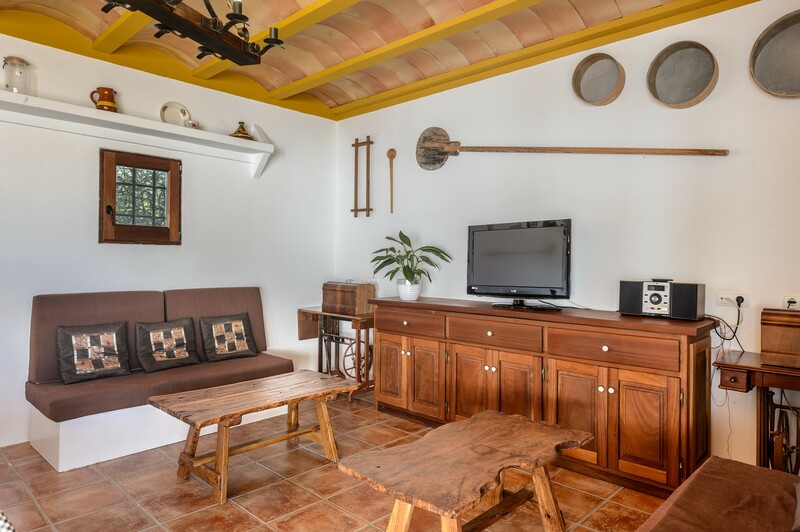 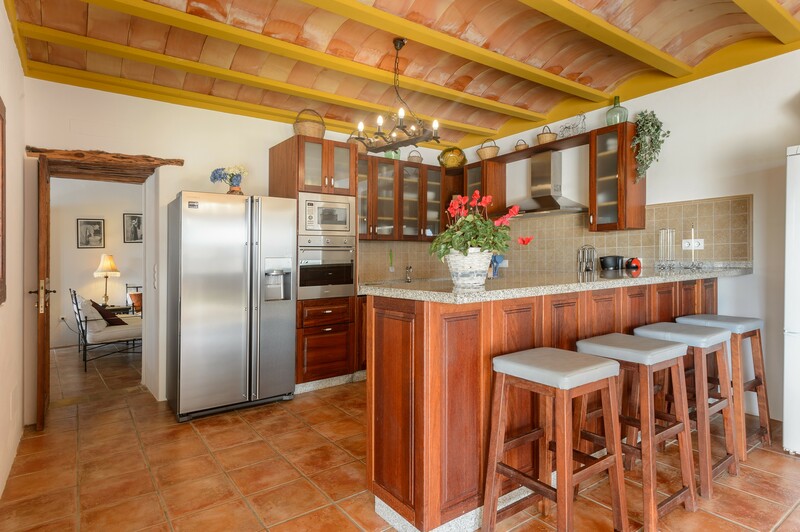 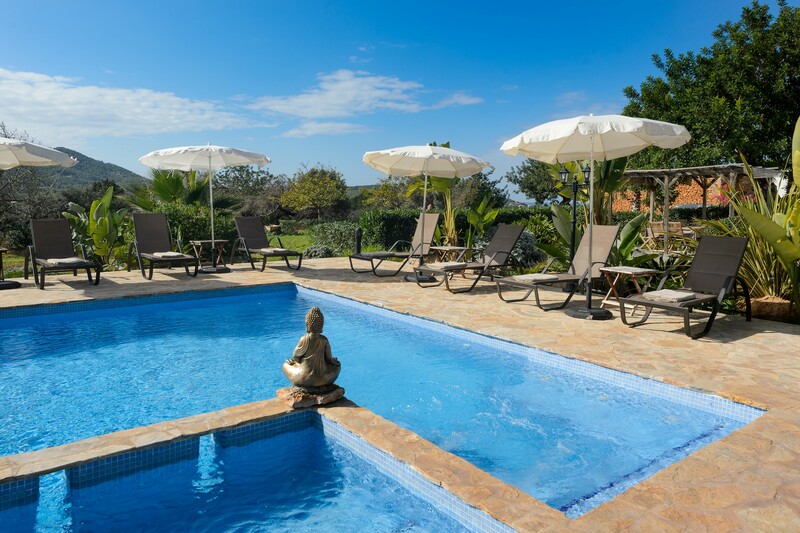 Located near San Carlos, a small village in Ibiza, the villa can accommodate a group of eight people and is equipped with alarm, air conditioning only in some rooms and wi-fi internet connection. 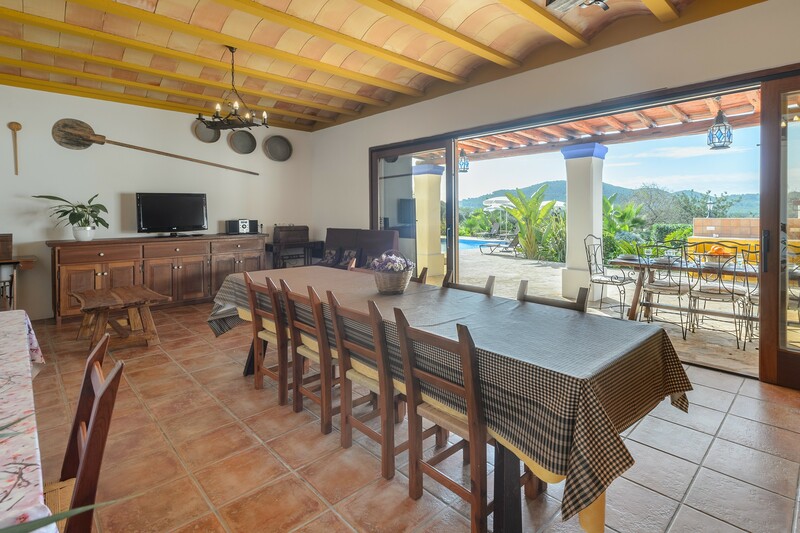 The property consists of a large dining room with dining table, tv and sofa, a full glass ceramic kitchen, four bedrooms and five bathrooms. 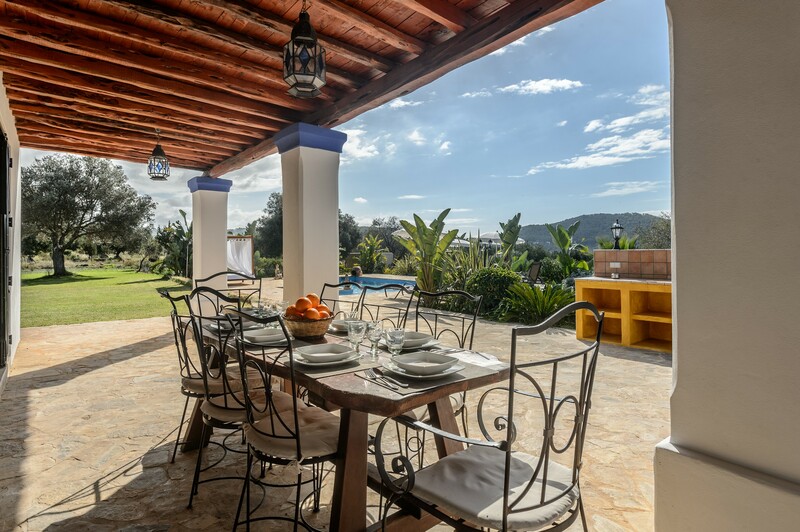 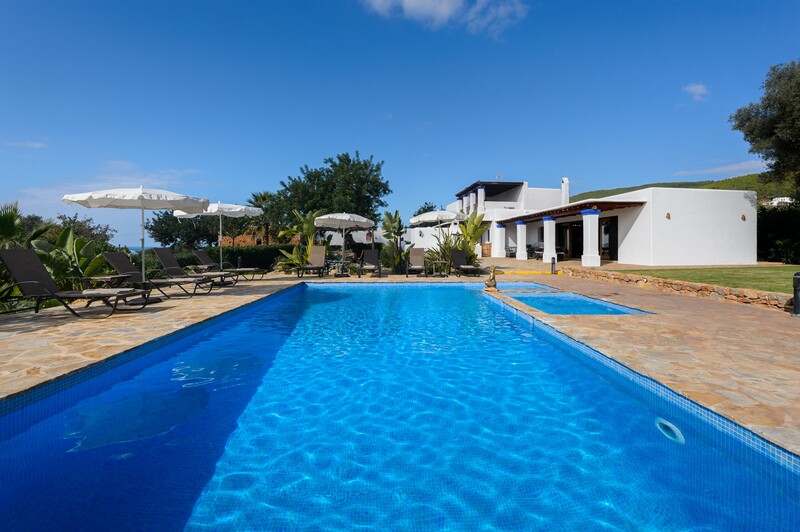 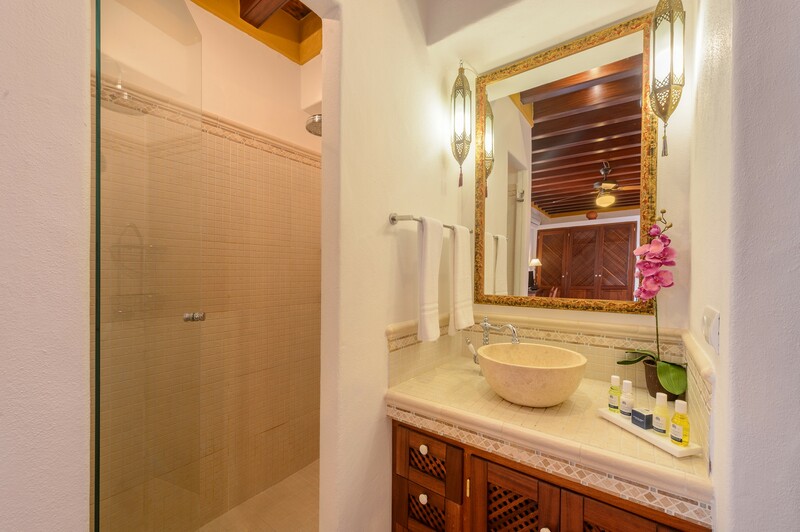 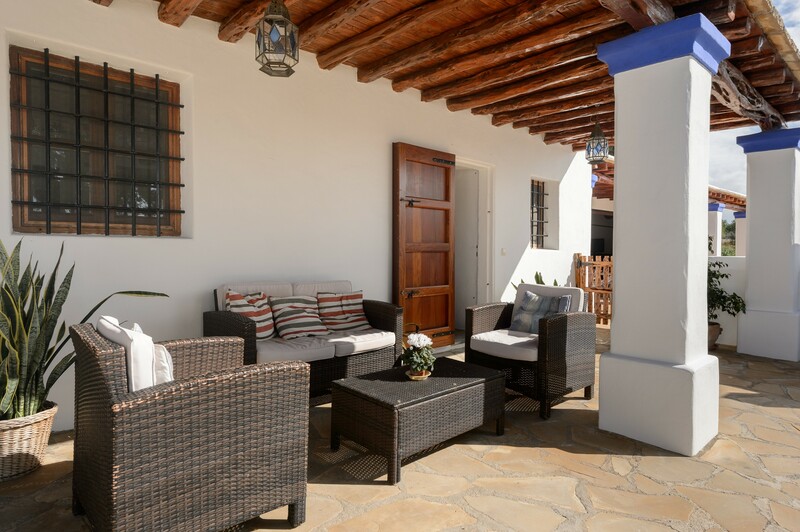 The property features a large outdoor area furnished with a barbecue and a swimming pool with relaxation area. 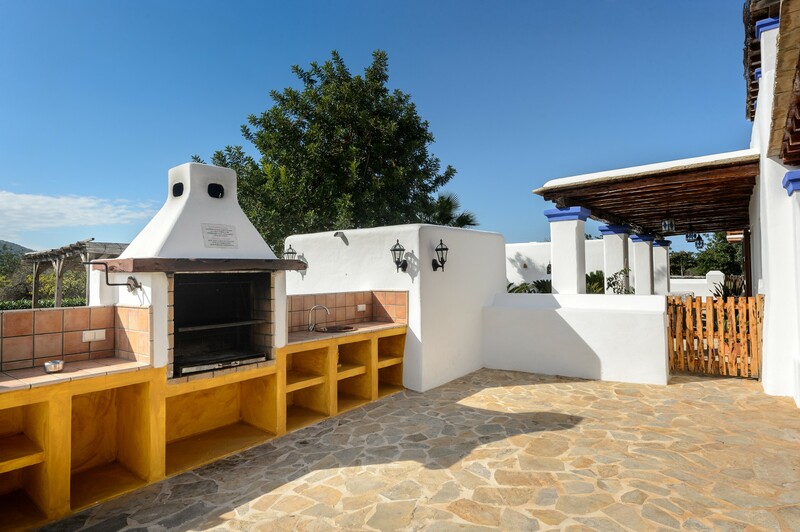 If you love paradisiacal beaches and want to know the traditions of this fantastic island by tasting some typical dishes in the restaurants, about 9km away you will find the little town of Santa Eulalia.